Here’s a map to show boundaries for voting wards. Each ward has an elected council person, plus there are three “at large” council positions. 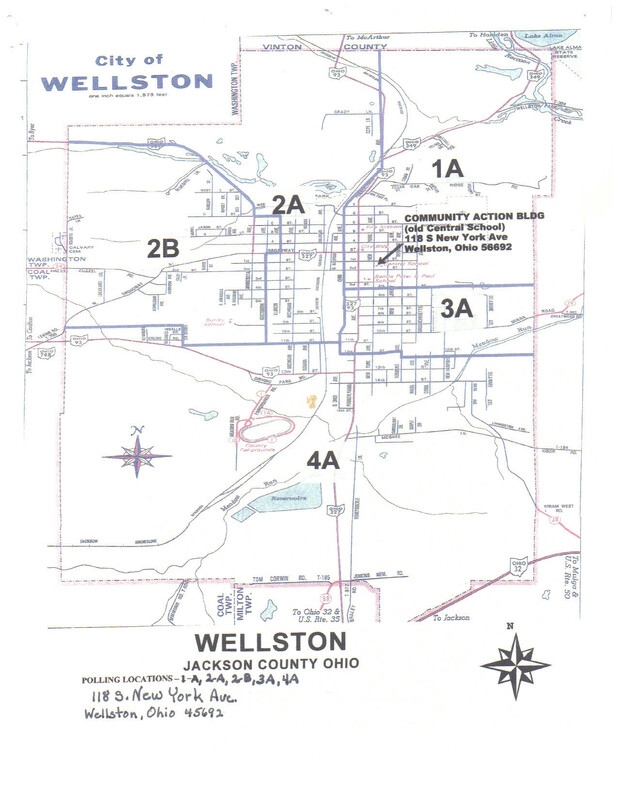 All voting in the city of Wellston occurs at the Jackson-Vinton Community Action Building (the old Central School) at 118 South New York Avenue. Polls are set up in the gymnasium.